Our Vision, Mission and Values outline why we exist, what we do, and how we do things. 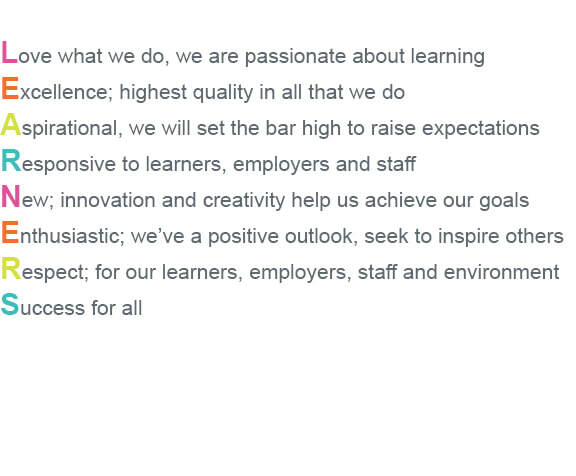 It is important to us that we live and breathe these values to ensure that our staff, learners, stakeholders and the communities we serve benefit from our approach of inspiring success for all. Access Training is an inspiring learning provider; passionate about quality and success for all.